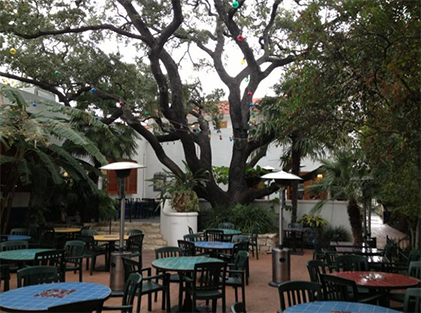 A tree can be a valuable asset to a residential home , business, or municipality. They can supply environmental beauty, cooling shade, soil supporting roots, air cleansing, increased property values, and habitats for wildlife. Statistics have also shown that trees can increase business traffic and reduce violence. On the other side of the coin a tree can also be so overgrown as to affect the safety of a structure, road, or open area. A tree can be a nuisance by dropping fruit, seeds, or dead branches. 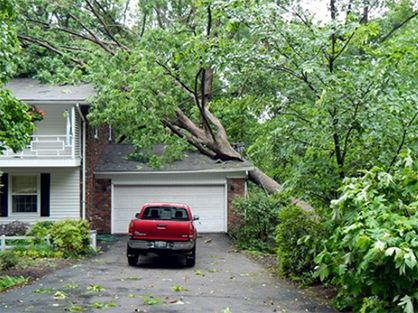 Roots can be a serious threat to sidewalks, foundations, or underground utilities. 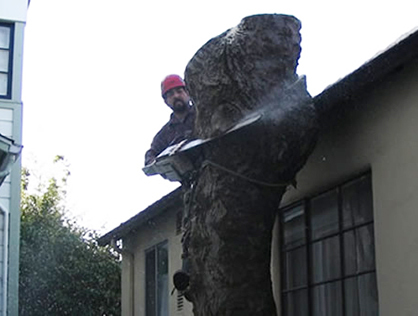 Some trees reach a point in their life where tree removal is a necessity. Tree removal is a tough decision. It is important to look ahead to envision what a trees growth will look like in five, ten and twenty years. Can the surrounding environment meet the growth needs of that species? Is the tree healthy enough or is decay already starting to set in? Are the roots starting to raise the surface area? Is the lean of the tree increasing over time? These are tough questions to answer. Sometimes the best remedy is to remove a tree and start over with the right specie planted in an area that will support a long life. We are professional tree stump removers with plenty of experience removing stumps with specialist stump removal equipment. Although tree stumps can be left in the ground after felling, this can lead to problems with suckering where new shoots arise from the trunk and roots. Dead stumps can play host to root diseases which can spread to other plants and trees in the garden and prove be very difficult to eradicate. 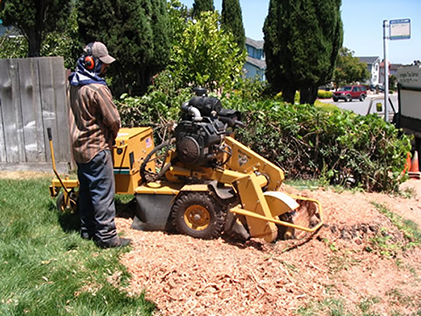 The most effective way of completely removing a stump is by using a stump grinder.